Messaging that speaks to the individual drives higher engagement, as every marketer knows. Our latest release, increases the ways you can segment and target your audience to maximize personalization. Announcing: Custom Attributes. Prior to this release, Carnival Mobile Marketing Suite allowed marketers to categorize users by text-based tags like “has_subscription” or “is_loyal” and then target messages based on these definitions. These tags were limited to being text only, with exact text matching, so we fast-tracked creating something more powerful – Custom Attributes. Custom Attributes offers new ways to segment your users, allowing you to create user audiences defined by some thing that has some value. The thing can be whatever you like, and so can the value. Most importantly, you aren’t handcuffed by text-only values. Custom Attributes can be text, numbers (decimal and whole numbers, including ranges), dates, or even true/false (Boolean) values. Attributes defined by more than just text allows us to segment users even more granularly, and ultimately increase message personalization. Carnival’s new Custom Attributes allow you to categorize users by specific date or number ranges, including open ended ranges with “less-than” and “greater-than” conditions. 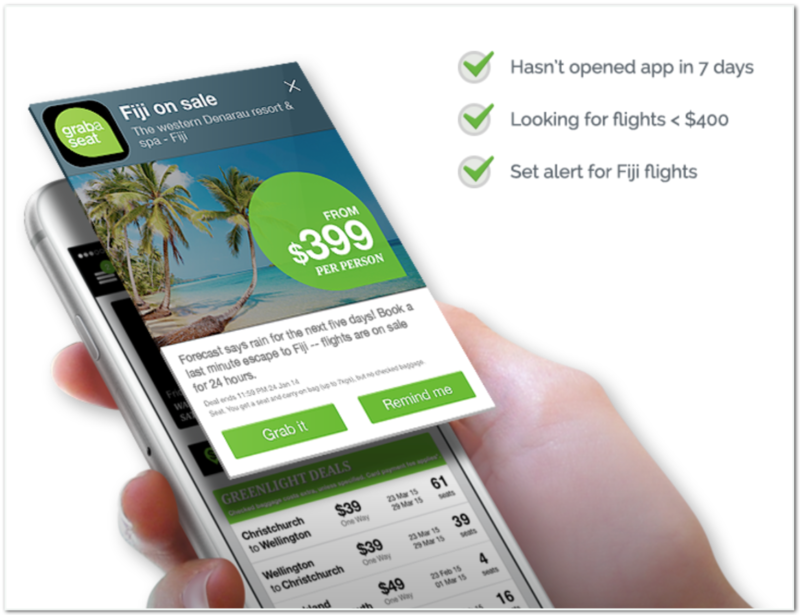 It allows Air New Zealand, for example, to message customers with between 450 and 800 Airpoints, who are eligible for Silver Status upgrades. The airline simply creates a Custom Attribute key called “user_current_airpoints” and then builds an audience for users that match “user_current_airpoints is between 450 and 800.” From there, Air New Zealand can automate upgrade offers to users who reach this criteria. Use true/false segmentation to ask users to complete an action in your app if they haven’t already done it. OREO, for example, may look to increase app downloads via Twitter referrals. The brand can define a key “user_has_tweeted_high_score” that is either true or false, and then message its audience who fits the “user_has_tweeted_high_score is false” criteria with a reminder to share scores when they complete a game. 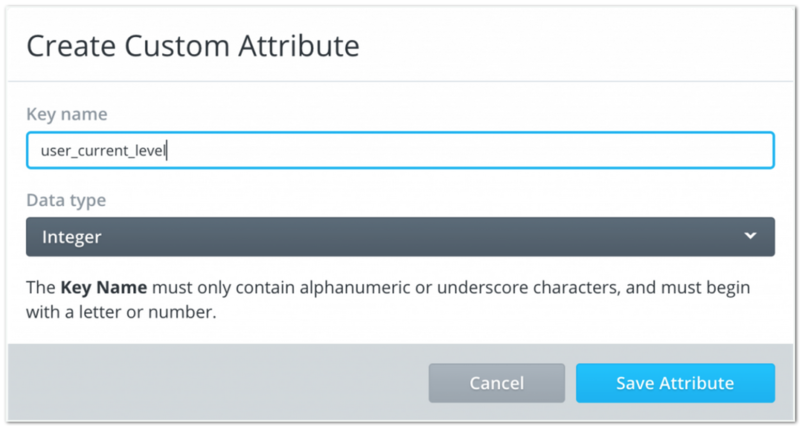 Custom Attributes are a powerful new tool for segmenting your users. With these new tools, you can get creative with highly-targeted, rich messages for your users, adding value to their mobile experience. When you’re ready to learn more, we’d love to walk you through a demo! Get in touch.  Archived in Product Highlights. Bookmark the permalink. Awesome work Sam! Sounds like a game changer.